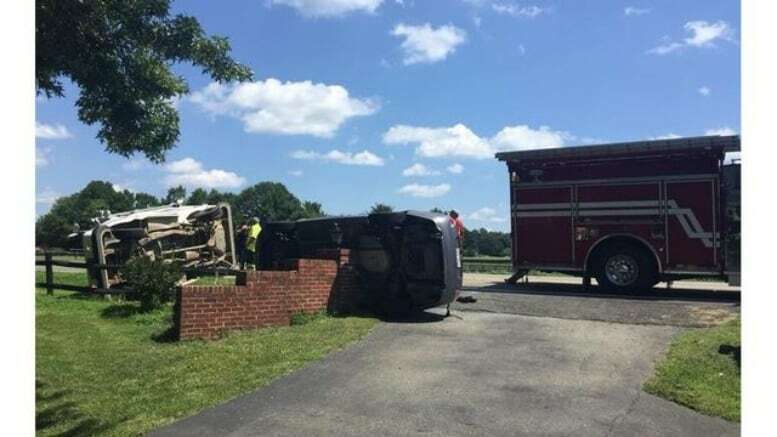 August 9, 2018 — POWHATAN COUNTY, Va. (WRIC) — Virginia State Police are investigating a two-vehicle crash in Powhatan County after a mail carrier vehicle and another vehicle collided and overturned, sending a woman and two children to the hospital on Wednesday. Police responded to a crash near the 5000 block of Old Buckingham Road at 1:59 p.m., where a preliminary investigation by police revealed that a female, identified by state police as Sandra R. Petty, was driving a Ford sedan driving east on Old Buckingham Road. The sedan approached a mail carrier vehicle and tried to pass it on the left side, however, the mail carrier made a left turn and both vehicle collided and overturned, according to an email from state police. Petty, a 29-year old from Powhatan, was identified by state police as the two children’s babysitter. Petty and the two minors in the Ford sedan were not wearing their seatbelts. One of the children was taken by Med Flight to a nearby hospital for serious injuries. An ambulance transported Petty and the other child in the sedan to a nearby hospital with minor to serious injuries. The driver of the mail carrier vehicle was checked by EMS at the scene but only suffered minor injuries.